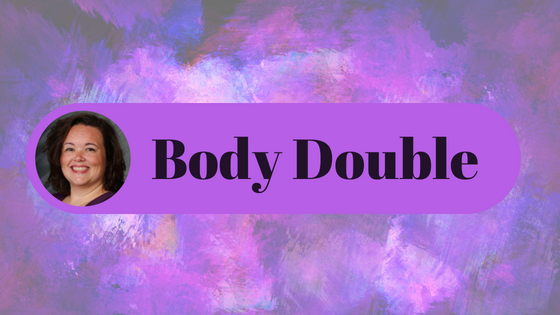 Have you heard about the body double concept yet? It’s a very simple and effective strategy to help people with ADD / ADHD. Using a body double or body doubles helps people with ADD / ADHD increase focus and productivity. What is the body double concept? It’s having a person or people with you while you work on projects or tasks. The person really doesn’t do anything but simply be with you. Who can be a body double for somebody with ADD / ADHD? A parent or spouse/partner may not always be the best body double because there may be too much emotion involved. Does the body double need to understand ADD / ADHD? No, the body double is not required to understand or be educated about ADD / ADHD. Does the body double ask the person with ADD / ADHD questions? No, the body double does not ask questions. Does the body double tell the person with ADD / ADHD what to do? The body double is simply just there. Does the body double hold the person with ADD / ADHD Accountable? The body double does not act as an ADHD Coach either. Does the body double just have to sit there while the person with ADD / ADHD gets things done? No, the body double may work on his or her own projects or tasks as long as it does not interfere with or distract the person with ADD / ADHD. What type of body doubles are there? For more information check the ADHD Support Talk Radio Podcast Episode Body Double Concept for Focus and Productivity.